Faithful flock from far and wide to attend conference in S.L. Twenty-one thousand people scrambled to their feet. 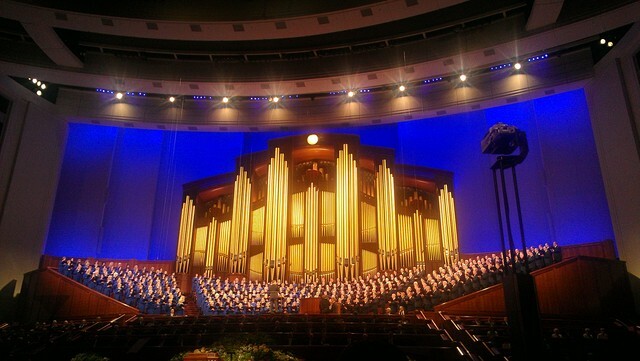 Twenty-one thousand pairs of eyes zeroed in on one man, walking briskly -- for an 82-year-old man -- across the Conference Center in Salt Lake City. 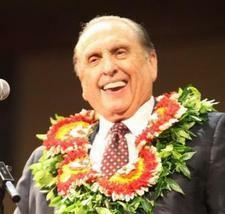 Thomas S. Monson, president of The Church of Jesus Christ of Latter-day Saints, acknowledged them, smiling and nodding, as if he was greeting, not a faceless crowd, but a gathering of old friends. "I got chills," said Kristina Hobbs, a 19-year-old college student from Arizona, of the moment she and the crowd shared with President Monson. "I could feel in my heart that he was absolutely a prophet of God." It was for this moment -- and for the opportunity to hear President Monson speak -- that people flocked Saturday to the LDS Church's 179th Semiannual General Conference.